Three Palestinians were injured late Sunday after the Israeli army bombed open the door of a house in the city of Hebron, locals told Ma'an. Locals said that Israeli forces in the Ein Deir al-Baha area of the city blew open the door of a house belonging to Akram al-Qawasami, injuring him and two young children. Al-Qawasami, his eight-year-old son Muhammad, and his young daughter Sujoud sustained shrapnel injuries, the sources said. Soldiers then raided the house and arrested Zaid Akram al-Qawasami. The Israeli forces called through a loudspeaker moments before bombing open the door, the sources added. A military spokeswoman refused to comment on the incident, saying the Israeli army could not elaborate on any of its activities in Hebron "at this time." Israeli soldiers have been heavily deployed in Hebron following the disappearance of three Israeli youths from an area near the Jewish-only settlement of Gush Etzion late Thursday. The have made dozens of arrests and erected multiple checkpoints in the area, restricting the freedom of movement of thousands of Palestinians. 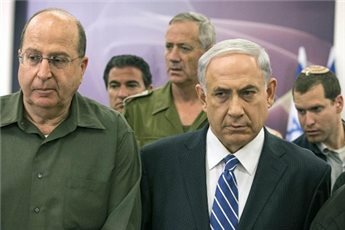 Secretary of the Palestinian Liberation Movement Yasser Abed Rabbo accused Israeli Prime Minister Benjamin Netanyahu of "capitalising on the disappearance of three settlers in Hebron to appear as a victim in the eyes of the international community, and to suggest that the Palestinian unity government is the one which sabotaged his efforts towards peace." In an interview with Voice of Palestine radio channel Sunday, Abed Rabbo said the PLO rejects Netanyahu's accusations, stressing that Israeli occupation should be held responsible for the crimes and violations committed on Palestinian lands. "The Netanyahu government covered up the crimes committed by settlers, protected them, and has not clearly condemned them. And now he wants to hold us responsible for what we have no responsibility for," Abed Rabbo added. He pointed out that Netanyahu seeks to appear in front of his people as a hardliner, and in front of the world as a victim. "Whoever wants peace should put an end to the violations committed by gangster settlers, and stop the looting of Palestinian lands, and to uphold the principles of international law," he said. 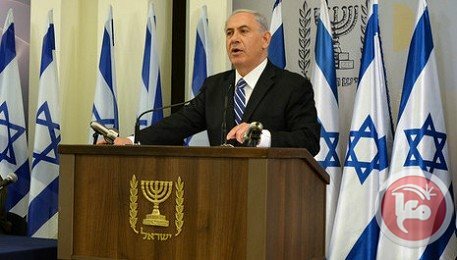 Concerning punitive measures announced by Israel against the Palestinian government and the PA, Abed Rabbo said they will have negative ramifications for Netanyahu's government and those who support it, "because the world will not accept the policies of collective punishment, such as travel bans imposed on senior officials, withdrawing IDs, and blocking the transfer of tax money." 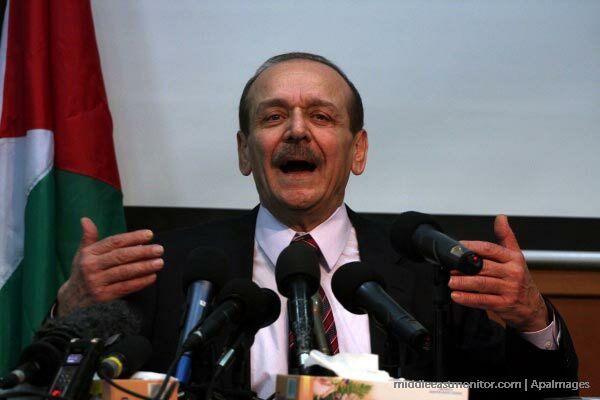 Abed Rabbo pointed out that the PLO's Executive Committee will meet later today (Sunday), headed by Palestinian President Mahmoud Abbas in Ramallah, to discuss the latest political developments, adding that the meeting would discuss resorting to international institutions in defense of Palestinian rights. Three Israeli settlers had disappeared on Thursday night in the settlement of Gush Etzion north of Hebron. Israel held the PA responsible for their safety, and Netanyahu announced on Saturday evening that the three "were kidnapped by a terrorist organization" which he did not name. The Israeli army imposed a security cordon on Hebron last night per the instructions of Secretary of Defense Moshe Yaalon, in an effort to find the three settlers. The Israeli army will continue to surround Hebron, erecting checkpoints and raiding houses, until it receives further information on three missing teens, an Israeli official said Sunday. Israel's Coordinator of Government Activities in the Territories told Ma'an via telephone that the siege on Hebron would continue, resulting in the restriction of movement of over 20,000 Palestinian workers and businessmen who work in Israel. Israeli military operations will continue in Hebron unless new information on the teens' whereabouts leads the army elsewhere, Yoav Mordechai said. The army is not coordinating with Palestinian Authority security forces, Mordechai added. He reiterated Israeli officials' claims that Hamas was behind the kidnapping of the youths, without providing information as to evidence behind the claims. Three Israelis, aged 16-19, disappeared Thursday night from nearby the Jewish-only settlement of Gush Etzion. Israeli forces have erected checkpoints throughout Hebron and nearby villages following the disappearance of three Israeli teenagers Thursday night. Hebron residents are being prevented from leaving the West Bank throughout the search. As Israeli forces deployed across the West Bank in hot pursuit of three teenagers who went missing on Thursday, the eyes of the Israeli public have been glued to screens across the country as they watched the drama unfold. Thousands of Israelis have taken to social media to support campaigns to demand that Palestinians #BringBackOurBoys. Following the lead of the prime minister, the Israeli public has placed blame on Hamas and the Palestinians more broadly, despite the fact that no group has yet claimed responsibility. The cries of the Israeli public for justice are now resounding throughout the English, Hebrew, and Arabic blogospheres. For Palestinians, however, the drama is not unfolding on television, but before their very eyes. And with more than 5,000 Palestinians currently sitting in Israeli prison cells, many view the Israeli campaign with deep skepticism. "What is three among thousands?" Ali Qaraqe, a Palestinian political satirist, asked during an interview at his Bethlehem shop. "A half-million Palestinians have entered occupation prisons (since 1967), and no one ever asked about them," he continued. For Qaraqe, the disparities between how the media and Israeli public has reacted to the missing three teenagers -- compared to the thousands of Palestinian prisoners, including more than 100 arrested in the last 24 hours -- has made it hard to take the campaign seriously. "Don't the prisoners also have poor families? It's as if the Israelis are humans but we are from a different planet," he said. Qaraqe highlighted the timing of the boys' disappearance, which came on the 50th day of a hunger strike by more than 125 Palestinian prisoners who are being detained with charge or trial by Israeli authorities. The strike has been hardly covered by the Israeli media, and Qaraqe argued that many Palestinians have concluded that the only way prisoners get out of jail is through prisoner exchanges. "Israelis have to understand their responsibility in the occupation." Qaraqe continued: "You are the occupiers, you are the ones arresting us and killing us every day. You have to deal with us, because for every action you take against us there will be a reaction." Indeed, the brutal Israeli reprisals in recent days have highlighted the tenuous realities of life under occupation for millions of Palestinians. In addition to the 125 arrested in door-to-door overnight and daytime raids across the West Bank in the last 24 hours, overnight air strikes injured a woman and a girl in their homes in the southern Gaza Strip. Khaled Quzmar, a legal adviser at Defense for Children International-Palestine, argues that while many Palestinians sympathize with the suffering of the families of the missing boys, the double standards are staggering. "We support the right to life of all Israeli children, but not at the expense of Palestinian children," he told Ma'an in a telephone interview. "1,400 Palestinian children have been killed by Israel since 2000, and more than 200 are currently in prison, suffering from all kinds of torture," he added. Quzmar also stressed that Israel has endangered the lives of its own children by transferring them to zones under military occupation. More than 500,000 Jews live in Israeli settlements across the occupied West Bank, and the three boys went missing while trying to hitch hike in the Gush Etzion settlement west of Hebron, built atop lands confiscated from local Palestinians. "These children went missing in a settlement, which is internationally recognized as being illegal and in occupied lands. The responsibility lies with the Israeli government which brought these children to an illegal settlement built on occupied lands," Quzmar argued. "There is no Palestinian who wants any person on earth to live the moments they have had to live through … But but every single family in Palestine has seen the violations of their children’s rights by the occupation," he continued. "Palestinian families have been asking for many years to 'bring back our boys!'" Quzmar told Ma’an that earlier on Sunday he had passed through Hebron, whose 600,000 inhabitants are currently under a tight military siege, en route to see his brother for the first time in 11 years. Quzmar’s brother, like 40 percent of Palestinian men, has been in Israeli prisons for a large portion of his life, and Sunday was the day of his release after more than a decade of incarceration. But passing through the checkpoints around Hebron, and the large concrete barriers erected to prevent Palestinian traffic, he lamented that the Israeli attacks were now renewing a cycle of violence that would only hurt more Palestinian civilians. "They are doing whatever they want to the Palestinians. Hebron is besieged, and everything is closed," he told Ma'an. "Children and mothers have to go walking through the checkpoints, as cars are forbidden, and they stand there waiting for the soldiers to let them through." "What is the fault of the children at the checkpoints?" As the search for the three teenagers drags on with no end in sight, an entire population is being held hostage to the whims of the military as the Israeli public demands blood. For Palestinians, besieged for the last seven years in Gaza and now Hebron as well, there is a fear that the lockdown could potentially mean a renewal of violence and increased restrictions. Bethlehem-based satirist Qaraqe, however, is not fazed. "When these things happen, Israelis need to ask themselves: Why do they take our children? Because they love to take children? No, there's a reason, and they need to realize it." "What is the point of peace if we do not have our rights and our prisoners are still in prison? This is not the kind of peace we want." Over 10,000 people have joined an online campaign to kill a Palestinian "terrorist" every hour until three missing Israeli teens are returned to their families, Israeli media reported Sunday. 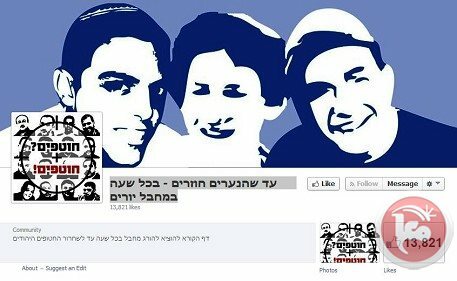 The Israeli newspaper Maariv reported on its website that within hours of its creation, a Facebook page calling for the hourly assassination of Palestinian "terrorists" had reached 10,000 likes. The Facebook page called on Israeli Prime Minister Benjamin Netanyahu to "take responsibility instead of holding (President Mahmoud) Abbas responsible" for the alleged kidnapping of three Israeli teens, Maariv reported. Netanyahu said Abbas was responsible for the safe return of the youths, and blamed Hamas for kidnapping them. Palestinian leadership denied responsibility for preventing the kidnapping of the youths. Ehab Bessaiso, spokesman for the Palestinian unity government, stressed Sunday in a statement that the three youths went missing from Area C, the approximately 62 percent of the West Bank that is under full Israeli military control. Hamas denied involvement, calling Netanyahu's claims "stupid." Secretary of state reaffirmes US commitment to safety of Israeli teens kidnapped Thursday, hints at Hamas as perpetrators. US Secretary of State John Kerry published a statement Sunday saying that the kidnapping of 3 Israeli teens in the West Bank was likely undertaken by Hamas. "We are still seeking details on the parties responsible for this despicable terrorist act, although many indications point to Hamas’ involvement." Kerry stressed that the US designates Hamas as a terrorist organization. "As we gather this information, we reiterate our position that Hamas is a terrorist organization known for its attacks on innocent civilians and which has used kidnapping in the past." Kerry condemned the kidnapping and called for the immediate release of the missing teens. "Our thoughts and prayers are with their families. We hope for their quick and safe return home." He added: "We continue to offer our full support for Israel in its search for the missing teens, and we have encouraged full cooperation between the Israeli and Palestinian security services." Kerry held a meeting with Justice Minister Tzipi Livni on Friday in London where Livni requested that the American's take whatever action possible with the Palestinians to bring the abducted teens home. Kerry also discussed the situation by phone with Prime Minister Benjamin Netanyahu and Palestinian President Mahmoud Abbas Friday evening. "Abu Mazen (Abbas) is responsible for the safety of the teens," Netanyahu said to Kerry. "This is the result of allowing a terrorist organization to join the government." Palestinian authorities rejected Netanyahu's comments as inflammatory and untrue. "Netanyahu would blame us for an earthquake," said a Palestinian security official. Israeli forces have detained over a hundred Palestinians in the West Bank since Saturday night, a prisoners' rights group said Sunday. The Palestinian Prisoner's Society said that 46 have been detained in Hebron, 23 in Nablus, 16 in Ramallah, 12 in Jenin, four in Bethlehem, five in Tulkarem, five in Qalqiliya, five in Jerusalem, six in Tubas, and two in Salfit. 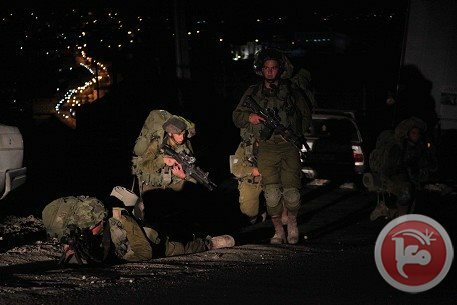 The Israeli army said earlier Sunday that its soldiers had detained approximately 80 Palestinians overnight amid a search for three teenagers who disappeared from nearby the Gush Etzion settlement Thursday night. The families of the Israeli teenagers missing in the West Bank since Thursday night have been praying for the safety of the boys, and drawing comfort from the massive groundswell of support from around the country. "Naftali – mom, dad and your siblings love you endlessly. Know that Israel will upend worlds to bring you home," Naftali Frenkel's mother, Rachel, said Sunday, in a family statement from their home in Nof Ayalon. 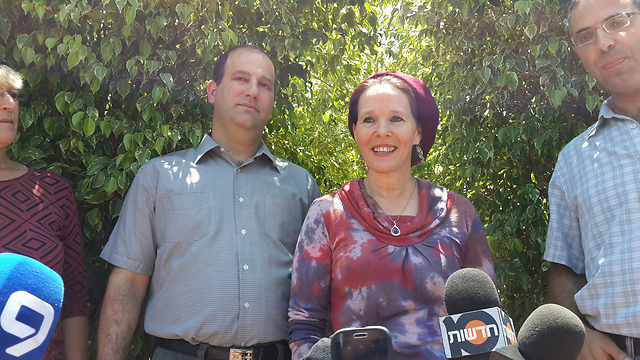 "We are optimistic… that God will see the joint efforts of prayer and solidarity and embrace Naftali, Eyal and Gil-Ad." Shmuel, Gil-Ad Shaer's grandfather, on Saturday night pleaded with Israelis to join in the prayers for the safe return of his grandson. "There's nothing worse than not knowing," Shmuel said. Information cleared for publication highlights lack of timely police response to the kidnapping of three Israeli boys in the West Bank. One of the boys kidnapped Thursday evening near Gush Etzion called the police seconds after entering the vehicle, yelling "We've been kidnapped." The information was cleared for publication on Sunday – two days after searches began for 16-year-olds Gil-Ad Shaer and Naftali Frenkel, and 19-year-old Eyal Yifrach. The police however, did not begin searching for the teens or inform the IDF and Shin Bet until the father of one of the boys went to the police in the early hours of Friday morning. Shaer's father went to the police station at around 3:00 am, and at the same time called the father of another of the missing teens. At that point, the police say that they realized the credibility of the abduction reports. Judea and Samaria police declined to comment on the veracity of the report. "There are many details related to the investigation into the kidnapping," the police said Saturday. "At present, we are not confirming or denying any details of the investigation, and are focusing on the massive effort underway together with the IDF and Shin Bet." Meanwhile the IDF continued its search operations in the Hebron region. The IDF has deployed northwest of the city since being informed of the possibility of a kidnapping – several hours after police received the initial details. Soldiers manned security checkpoints at the entrances and exits to Hebron, the largest city in the West Bank. The increased activity is intended to pressure the local population and prevent the movement of the terror cell that conducted the kidnapping and any possible transfer of the victims. 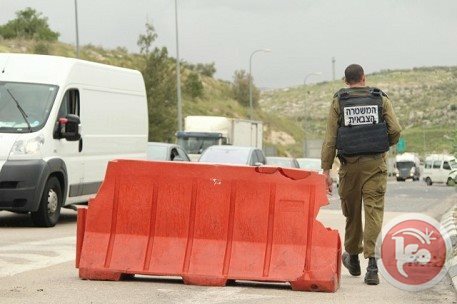 The checkpoints deployed by the IDF have allowed passage to Palestinian pedestrians and vehicles, but only after soldiers conduct thorough searches. 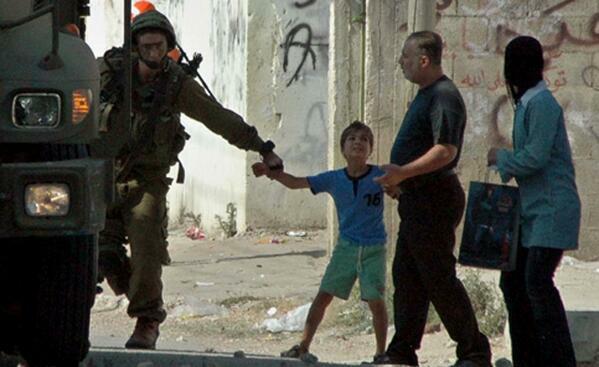 The IDF said the intention was not to harm the Palestinian population or to disrupt daily life. Additional arrests are expected Sunday night, as the IDF attempts to breach the inner circles of the Hamas cell behind the abduction. Just 20 hours after the three yeshiva students went missing, the Israeli occupation forces (IOF) held an extensive exercise in the very same area in which the teens were last seen, Ynet site, Israeli daily reported. Israeli Officers were informed of possible kidnapping almost in real time, but did not act or inform IOF until father of one of them arrived at police station. In a report published in the site, Ynet explained that Israeli police received a preliminary report about the disappearance of the three settlers in the West Bank at around 10:25 pm, the time of the assumed kidnapping. However , the police did not begin searching for the teens or inform the IOF until Friday afternoon. 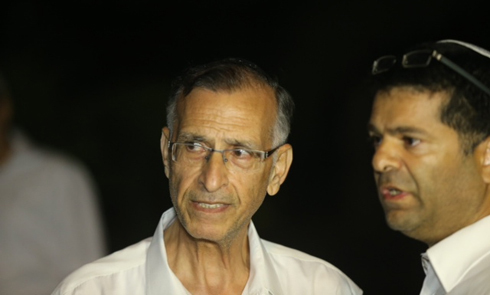 A father of one of the missing settlers went to the police in early hours of Friday morning and informed them. At that point, the police realized that the abduction reports were credible. Israeli security sources explained that what happened is a fatal mistake and an investigation will be opened in the incidents. The three settlers were identified as Gil-Ad Shayer from Talmo , Naftali Frenkel from Nof Ayalon , and Eyal Yifrah from Elad. Following kidnapping of three students, Israeli military minister ordered closure on the Hebron area and border crossings leading to Gaza. 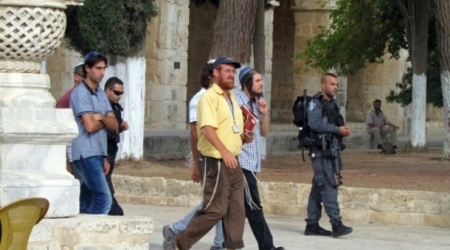 The Israeli Rabbi Yehuda Glick on Sunday morning broke into al-Aqsa Mosque accompanied by a group of Israeli settlers. Protected by Israeli police, Israeli settlers stormed the mosque from al- Maghareba Gate and toured in the courtyards. The director of media at Aqsa Foundation for Waqf and Heritage Mahmoud Abu al-Atta told "Safa agency" that the settlers spent half an hour in the mosque before leaving, pointing out that hundreds of Muslim worshipers and Students have been from early morning in the backyards of Al-Aqsa. According to Abu Atta, the Israeli police tightened their measures at the gates, especially on the students who attend summer activities in Aqsa. 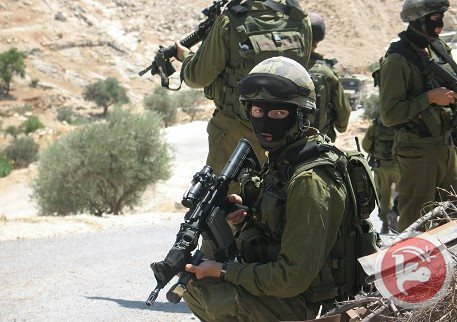 For the second consecutive day, Israeli forces on Sunday continued a major military operation in Hebron in the southern West Bank in search of three Israeli teenagers who disappeared Thursday evening near the Gush Etzion settlement. Although Israeli forces bombarded the Gaza Strip and detained 80 Palestinians across the West Bank overnight, Hebron has taken the brunt of the Israeli response. Israeli forces have erected checkpoints throughout the city and nearby villages, and since Friday morning have engaged in dozens of raids on private homes around the clock. 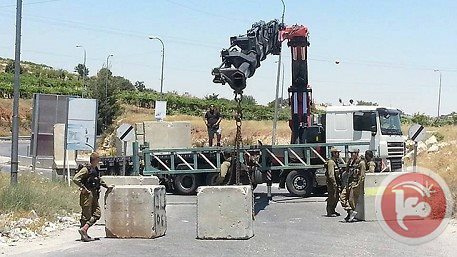 A Ma'an reporter on the scene said on Sunday that Israeli forces closed Hebron's northern entrance with a steel gate and large concrete blocks preventing Palestinian pedestrians and vehicles from moving in and out. Israeli troops also erected checkpoints at the main roads in the Nabi Younis and Hawawir neighborhoods north of Hebron, inspecting all Palestinians traveling in and out of Hebron. 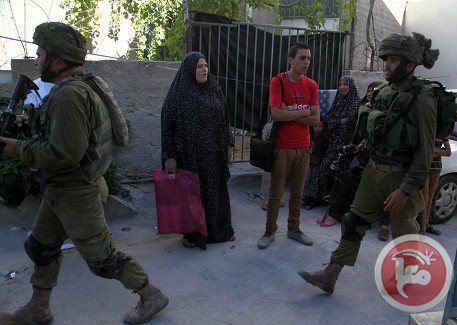 Israeli forces have detained 43 people from Hebron area since the beginning of the crisis on Friday morning, according to Hebron branch of the Palestinian Prisoner's society. Despite the Israeli military operation, the residents of Hebron have continued trying to continue daily life as normal. Shops and stores have remained open, but few people were seen in the streets. Public transportation operated normally, but the movement of private vehicles was less than usual as a result of the heavy military presence. A shop owner named Muhammad told Ma'an that residents of Hebron have avoided going to the markets out of fear that the ongoing house-to-house Israeli incursions would continue. People are afraid that Israelis will break into their homes while they are out, so they preferred to remain inside, he added. Palestinian police officers are operated normally in Hebron, a Ma'an reporter on the scene said. On Thursday night, three Israeli youths disappeared while attempting to hitchhike from the Jewish-only Gush Etzion settlement in the occupied West Bank. Israeli authorities have said the Palestinian Authority has responsibility for the settlers' safety and has accused Hamas members of kidnapping the youths, charges Hamas has called "stupid." The Palestinian Authority, meanwhile, has stressed that they have no responsibility for the settlers' safety, as they were captured in the 62 percent of the West Bank under Israeli military and civilian control. The case has attracted widespread attention in Israel and led to a fervent campaign for their return under the banner "Bring Back Our Boys." Palestinians, however, have contrasted the attention received by the three settler youth with the lack of concern for the fate of around 200 Palestinians who are currently being held indefinitely without charge or trial in Israeli prisons, including 125 who have been on hunger strike for more than 50 days. Israel has started calling up reserve soldiers to deploy in the southern West Bank amid a search for three missing teens, an army spokesperson said Sunday. An Israeli military spokeswoman told Ma'an that the army was "in the process of recruiting a very limited number of reserve duty personnel," without elaborating. The Israeli news site Ynet said that over 2,500 Israeli soldiers were stationed in the Hebron area, and that their presence would increase following the addition of reservists and battalions being called up from outside the West Bank. Hundreds of soldiers of the Shimshon Battalion are being transferred from the occupied Golan Heights to the southern West Bank, Ynet reported. It added that the Israeli army was expected impose closures on several Palestinian areas, especially villages near Hebron. Israeli forces have detained 43 people from Hebron area since the beginning of the crisis on Friday morning, according to the Hebron branch of the Palestinian Prisoner's society, and at least 113 from across the West Bank. The Palestinian Authority on Sunday condemned the Israeli arrest campaign across the West Bank and airstrikes against the Gaza Strip, denouncing the "collective punishment of the Palestinian people" by Israeli forces. "The Israeli government cannot hold the Palestinians responsible for security in occupied territories which are not under Palestinian sovereignty and which house dozens of settlements and outposts," Bessaiso said in a statement. Bessaiso also said that the detention of 80 people across the West Bank and the bombing of Gaza overnight constitute "collective punishment against the entire Palestinian people," and called upon the "international community and all international human rights organizations to protect the Palestinian people against the Israeli escalation." Bessaiso highlighted that even Palestinian prisoners in Israeli custody were being punished by Israel, through the banning of family visits and "other oppressive procedures," even as around 125 administrative detainees entered their 53rd day of a collective hunger strike. Earlier Sunday, Hamas denied Israeli allegations that their members were involved in the kidnapping of the three Jewish youths, calling the claims "stupid." The Executive Committee of the Palestine Liberation Organization (PLO) condemned, in a statement Sunday, the “racist” campaign, led by Israeli Prime Minister Benjamin Netanyahu, against the Palestinian people and their leadership, under the pretext that ‘the three settlers, who disappeared on Thursday, were kidnapped’. The committee, during a meeting headed by president Mahmoud Abbas in Ramallah, rejected Nentyahu’s ‘foul accusations’, which it stressed aim to cover up his failure. It called upon the relevant international quarters, particularly the US administration, to act to stop further deterioration of the situation or, otherwise, the PLO will legally proceed to defend the national rights of the Palestinian people. Meanwhile, the committee decided to continue with all political steps and to support all initiatives in solidarity with prisoners’ issue, noting that it has formed a special committee to follow up with their issue. Egyptian media says Egyptian forces on alert in Gaza border, add 'Israeli helicopters monitoring from the skies'. Israel has reportedly been enlisted the aid of Egypt in the search for the three missing Israeli teens – Eyal Yifrah, Gil-Ad Sha'er, and Naftali Frenkel – that have been missing since Thursday evening, Egyptian newspaper Ash-Shuruk reported Sunday morning. According to sources, which the paper described as "credible", Egypt approached senior members of Hamas and Islamic Jihad to discuss the implications of the incident and to attempt to understand if the hostages are still alive or not. In addition, Egyptian authorities put military forces in Rafah, on the Sinai-Gaza border, in high alert. Egyptian media further reported that Israel is taking steps, including the use of helicopters and patrols, in the Sinai border in an attempt to prevent the possible transfer of the hostages to the Sinai Peninsula and from there to the Gaza Strip. 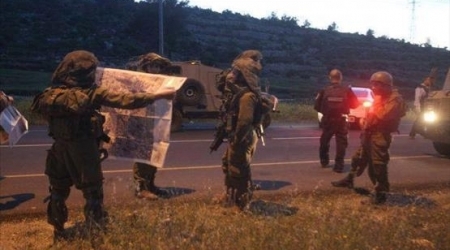 Meanwhile, IDF troops are continuing to comb the West Bank in search for the missing teens. 80 Palestinians in the West Bank were arrested overnight Saturday, including senior Hamas members and Palestinian lawmakers, and Israel placed a closure on Hebron and Bethlehem. Among those arrested was senior Hamas activist Hassan Yousef, a former spokesperson for Hamas who is considered one of the organization's spiritual leaders, and members of the Palestinian Parliament Fathi Muhammad Ali Qar'awi, Hassan al-Bourini, Abdel-Rahman Zidan and Khaled Abu Arafa. According to a senior military official, the arrests took place throughout the West Bank, including in Hebron, Ramallah and Tubas. A closure was imposed on southern Judea and Bethlehem, following a closure made from midnight on Hebron. 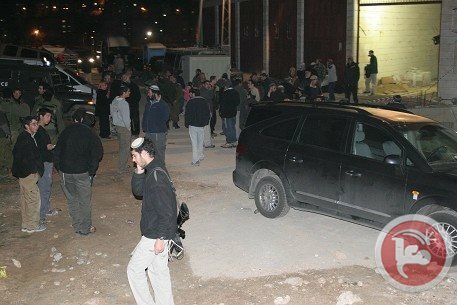 Israeli settlers gathered on main roads near Bethlehem and Hebron on Saturday evening to protest against the recent disappearance of three teenage Israelis, hurling rocks at Palestinian vehicles. Local Palestinian sources told Ma'an that dozens of settlers took to the streets on the main road between Hebron and Bethlehem which runs near Gush Etzion settlement bloc, gathering where a number of bus stops are congregated to throw rocks at passing Palestinians. The protesters hurled stones at Palestinian vehicles which traveled on the main road, known as route 60. Although the attacks damaged some passing vehicles, no injuries were reported. Also on Saturday, a group of Israeli settlers demonstrated near Haggay settlement south of Hebron and tried to attack Palestinian vehicles on the main road near al-Fawwar refugee camp. The demonstrators chanted anti-Arab slogans, holding the Palestinians responsible for the recent disappearance of three Israeli teenagers and urging the Israeli government to take action against the Palestinians and impose a "heavy toll." Earlier on Saturday, three Palestinians were injured near Nablus in similar attacks by settlers. Hamas on Sunday denied accusations that its members were behind the disappearance of three Israeli youth just minutes after Israeli Prime Minister Benjamin Netanyahu accused them of being responsible. Hamas spokesman Sami Abu Zuhri called the accusations "stupid" and said that they were a bluff intended to acquire information. Abu Zuhri told Ma'an that the arrests carried out by occupation forces in the West Bank were "designed to break Hamas," but they would not succeed in achieving their goal. The spokesman also said that Israeli authorities are responsible for "all of the consequences of the arrest campaigns" in the West Bank, adding the Israeli escalation in the West Bank and Gaza reflects their "state of confusion." The Hamas spokesperson's comments come in response to Netanyahu's declaration earlier Sunday that Hamas was responsible for the abduction of three settler youths on Thursday evening. "Hamas men committed the kidnapping. There will be severe consequences," Israel news site Ynet reported on Sunday morning. "This morning I can say what I was unable to say yesterday, before the extensive wave of arrests of Hamas members in Judea and Samaria," Netanyahu said later at a cabinet meeting in tel Aviv. "Those who perpetrated the abduction of our youths were members of Hamas -- the same Hamas that Abu Mazen (Palestinian President Mahmoud Abbas) made a unity government with; this has severe repercussions," he continued. "We are currently focusing all of our efforts on bringing the abductees back home," he added. 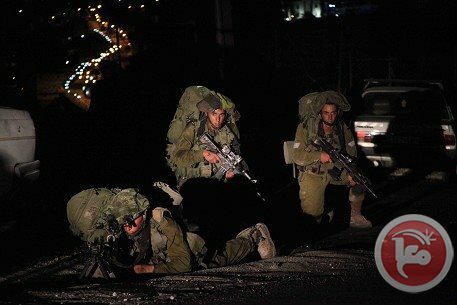 The statements come after the Israeli military engaged in a major campaign of arrests on the third night of the search for the youths, who went missing while hitchhiking in the Jewish settlement of Gush Etzion between Bethlehem and Hebron in the southern occupied West Bank on Thursday. Israel also launched at least seven air strikes across the Gaza Strip overnight, injuring two Palestinian women in their homes. Netanyahu previously said he held the Palestinian Authority responsible because the alleged kidnappers would have had to come from areas under PA control and returned to it, but a PA security forces spokesperson highlighted that the incident occurred in an area under full Israeli control. The accusations come less than two weeks after Hamas and Fatah joined together to form a government of national unity for the first time in seven years, re-uniting the largest Palestinian political parties in both the West Bank and Gaza under the Palestinian Authority. The move angered Israel, which considers Hamas a terrorist organization for its refusal to renounce violence in its fight against the occupation. The Israeli teens disappeared in the 61 percent of the West Bank that is considered Area A and under full Israeli military and civilian control. Only about 11 percent of the West Bank falls in Area A, which is theoretically under full Israeli control, while the rest is jointly administered. Despite these distinctions, the entire region is under effective military occupation and the Israeli military has the last word on any decisions, with frequent nightly raids and attacks on areas under nominal Palestinian control. Israel holds the Palestinian Authority responsible for the safe return of three teenagers kidnapped in the West Bank by a "terror organization," Prime Minister Benjamin Netanyahu said. "Our young people have been kidnapped by a terror organization ... there is no doubt about that," Netanyahu told reporters in Tel Aviv as a massive manhunt for the three youngsters entered its third night. The youngsters, one of whom also holds a US passport, are believed to have been snatched Thursday night from the Gush Etzion settlement bloc between Bethlehem and Hebron, reportedly while hitchhiking. They were studying at two Jewish seminaries in Jewish settlements in the southern occupied West Bank. Their disappearance has prompted a huge search by the army and border police. Netanyahu said he placed responsibility for their safe return on the shoulders of Palestinian president Mahmoud Abbas and his Palestinian Authority. The Israeli leader demanded "the Palestinian Authority, headed by Abu Mazen (Abbas) -- from whose territory the kidnappers came -- do whatever necessary to help the hostages get home safely. That is the Palestinian Authority's responsibility." The three youths were identified on Saturday as Gilad Shaer, 16, from Talmon settlement near Ramallah, Naftali Frenkel, 16, from Nof Ayalon in Israel, and Eyal Ifrach, 19, from Elad near Tel Aviv. The suspected abductions occurred 10 days after a new Palestinian unity government was sworn in, pieced together in agreement with the Islamist Hamas movement, in a development roundly denounced by Israel. "We see Abu Mazen and the Palestinian Authority as responsible for every attack on Israel emanating from their territory, whether it is from Judaea and Samaria, or from the Gaza Strip." He also said an April reconciliation agreement between Palestinian leaders in the West Bank and the Hamas movement in Gaza had "brought about the most serious consequences" and had "encouraged" groups committed to Israel's destruction. Earlier, a spokesman for the Palestinian security services rejected Israel's accusations they had failed to prevent the kidnapping, saying the incident occurred in a settlement bloc in area C of the West Bank -- an area under full Israeli civilian and security control. "Even if there was an earthquake, Netanyahu would blame the Palestinian Authority," General Adnan al-Damiri told AFP, describing Netanyahu's suggestions as "mad." But Netanyahu dismissed Damiri's remarks outright. "The claim that the Palestinian Authority is not responsible because the incident took place in an area under Israel's responsibility is completely unfounded," he said. "The authority which controls the area from which those terrorists came is responsible. That is exactly the situation in this case. The terrorists came from the Palestinian Authority's area, and the PA is responsible for this." As night fell, searches continued across the West Bank, focusing on the southern city of Hebron. Earlier, a senior military officer said the three were presumed kidnapped by Palestinian militants but offered no suggestion as to who was responsible, adding substantial reinforcements had been drafted in. "Tens of Palestinians" were arrested, and the Palestinian security forces were helping, he said. A Palestinian official confirmed its security services were "cooperating" with Israeli agencies to gather information on the teenagers' disappearance. "Because we have no information to the contrary, we are assuming that they are still alive," Defense Minister Moshe Yaalon told reporters. Netanyahu said he had ordered the top military and security brass to use "all tools at their disposal to find the hostages, and secondly, to prevent their transfer to Gaza or any other place." Troops had earlier closed the main crossings into Gaza to prevent the youths from being taken into the territory where the Islamist Hamas movement remains dominant despite resigning its authority following the formation of the unity government. On Saturday, Israel launched air strikes on Khan Younis and Rafah in Gaza after militants fired a rocket over the border. Another three struck open areas in the afternoon, causing no injuries or damage but provoking yet more Israeli air raids. As the scope of the abduction crisis emerged, US Secretary of State John Kerry telephoned Netanyahu and Abbas on Friday, sources on both sides said. The Israeli military imposed an indefinite closure of checkpoints and crossings across the Hebron district of the southern West Bank beginning early Sunday morning, as Israeli forces expanded a search campaign for three settler youth who went missing Thursday evening. Israeli Defense Minister Moshe Yaalon issued a directive on Saturday imposing the closure beginning at midnight, in a move that has severely disrupted life across the region as thousands of Palestinian workers are unable to travel to work in Israel. An Israeli military statement said that although Israel will "facilitate crossings for humanitarian and medical assistance" in the "Judea/Hebron district" of the West Bank and at Erez crossing in Gaza, traffic for all others would be shut. The statement added that the Kerem Shalom crossing would be open to fuel shipments. Also included in the decision are some 30,000 Palestinians who work in West Bank settlements, many of whom living in the southern West Bank districts affected. Hebron residents under 50, meanwhile, have been prohibited from traveling to Jordan since Saturday. A 2013 Palestinian census survey found that 103,000 Palestinians were employed in Israel in summer 2013, with over 60 percent employed in the construction sector. Although Israel severely restricts work permits, many Palestinians cross without a permit drawn by significantly higher wages. Israel maintains almost complete economic control over the Palestinian territories, restricting both imports and exports as well as any kind of industrial development. As a result, Palestinians are both a captive market and labor force for Israeli employers. Due to high costs of living that result from Israel controls, work in Israel is attractive despite the lack of protections for Palestinian workers. On Saturday, the Gas Station Owners' Union in the Gaza Strip said that 80 percent of gas stations in the besieged coastal enclave had run out of fuel, and that all would have shut down by the end of the day, due to the Israeli closure of the crossing since Friday. CORRECTION: An earlier version of this story said that checkpoints across the West Bank would be shut down, but in fact the Israeli army has said that checkpoints in the "Judea/Hebron district" of the southern West Bank will be closed. We regret the error. Israeli forces began a wide-ranging campaign of arrests across the West Bank overnight Saturday and Sunday morning targeting 80 individuals affiliated with Hamas and Islamic Jihad, including lawmakers and political leaders. The campaign comes as Israeli forces continue their search for three teenage boys who disappeared on Thursday evening from the Gush Etzion Jewish settlement in the occupied West Bank and are believed by some to have been taken hostage. Hamas sources told Ma'an that at least 70 of the movement's leaders and supporters were detained across the West Bank, and on Sunday morning soldiers and military vehicles continued to deploy across Hebron district in the southern West Bank. Local sources told Ma'an that Israeli troops carried out predawn raids in the towns of Sair, Taffuh, Beit Kahil, Bani Naim, Beit Ula, Dura, and Yatta in the Hebron district and carried out intensive inspections. At least eight Palestinians were detained eventually in those raids. Hamas sources in Nablus in told Ma'an that Israeli troops detained three Hamas-affiliated Palestinian lawmakers in the northern West Bank, who were identified as Muhammad Ghazal, Ahmad al-Hajj Ali and Husni al-Burini, along with many other supporters of Hamas and the Islamic Jihad. Among the other detainees arrested in Nablus overnight were Firas Jarrar, Samir Abu Shueib, Nasser Abu Eisha, Anas Raddad, Talal Abu Asab, Abdullah Bani Audah, Ahmad Nabhan, Ahmad Awwad, Ahmad al-Bayari, Ahmad Malaysha, Huthayfa Salamah, Ahmad Hamdanah, Muhammad Sawalha and Muhammad Daghlas. Similarly, Israeli forces raided the city of Tulkarem in the northern West Bank and detained Palestinian lawmaker Abdul-Rahman Zeidan. Israeli soldiers also broke into home of lawmaker Fathi Qarawi and inspected it. Qarawi told Ma'an that Israeli soldiers raided his home at dawn and inspected all the rooms including a garage where he parks his car. He added that Israeli intelligence officers questioned all his children and handed a summons to his son, Hamza, who was at his university dormitories preparing for his final exams. The soldiers left at 5:00 a.m., Qarawi added. Israeli forces also stormed Tubas in the northern West Bank, detaining Fazi Sawafta and Nadir Sawafta. 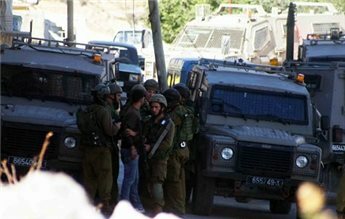 In Azzun village in Qalqiliya district in the north, Israeli forces detained Abdullah Shbeita, Amir Dahbour, and Nael Anaya in an arrest raid. 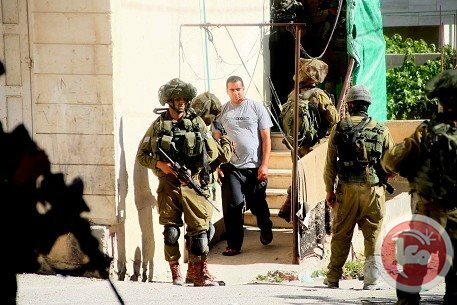 The Israeli military confirmed the arrest raid in a statement, saying that "approximately 80 Palestinian suspects were detained" in overnight raids and promising to use "all means" to find the three missing Israeli settlers. "Palestinian terrorists will not feel safe, will not be able to hide and will feel the heavy arm of the Israeli military capabilities, Lt. Col. Peter Lerner said in the statement. 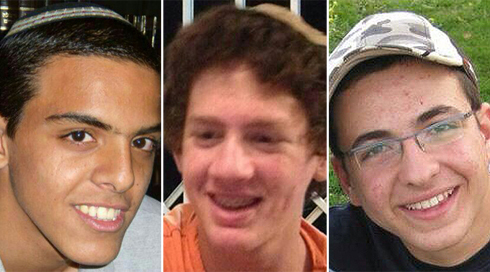 The three disappeared youths were identified on Saturday as Eyal Yifrach, 16, Gilad Shaaer, 19, and Naftali Frenkel, 16. The group was attempting to hitch hike in the Israeli settlement of Gush Etzion on Thursday evening when they disappeared, and as of yet Israeli forces have not been able to find any traces of them.